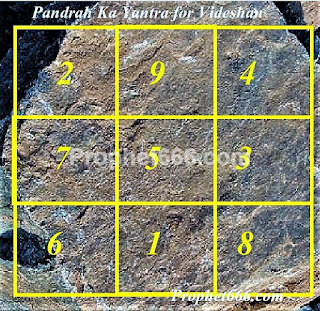 In this post, I have written about the specific use of the popular and powerful Pandrah Ka Yantra for causing Videshan or Tiraskar among enemies, meaning a voodoo spell to take revenge upon enemies by creating fights among the enemies and make them hate themselves and thus divide and weaken them. 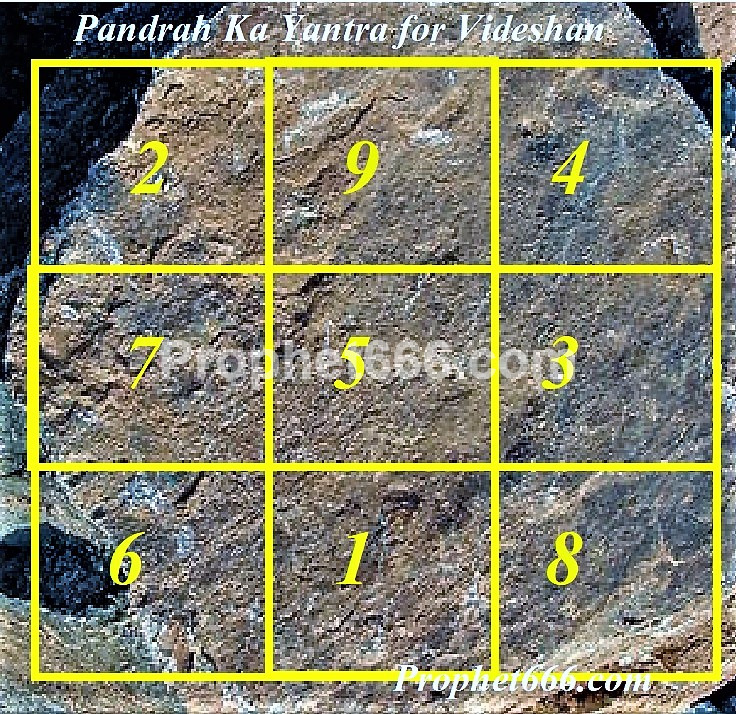 The Pandrah Ka Yantra should be drawn on a stone, using Haldi Powder Paste [Turmeric Powder Paste] mixed with Ganga Jal. A pointed stick of the Amarbel or Akashbel Plant [Giant Dodder in English, botanical name – Cuscuta reflexa] has to be used as the pen for drawing the Yantra upon the stone. Then, the practitioner should sit in front of the stone and chant the Mantra given below 108 times using a Rudraksha Beads Counting Rosary, in order to infuse the stone with the power of the Mantra. The words – names of enemies- should be replaced with the names of the enemies. Finally, the Mantra infused stoned should be kept in front of the main door or entrance of the house on the enemy. This Revenge Tantra causes severe fights between the enemies and divides them and thus weakens them and prevent them from harming the practitioner. Notes- This revenge spell is only suitable for taking revenge upon enemies who have harmed the practitioner and not to cause harm and distress to any other persons. Pranam Guruji, one question please ,it is difficult to put the stone in front of the house of the enemies ,as he/she can see the Tantra . Can this be kept upside down or can you please tell us how to make it possible to make this Tantra effectively kept in any other way ?? I had a small question, I will sincerely appreciate , if you could kindly guild me int this. Can the side of the stone on which Mantra and the names of enemies are written be kept facing down, so that , the text part thats written on the stone is not visible. It can be kept facing downwards on that the enemy names are not visible if you so desire. Sir,the enemies whom I want to divide live in three different houses far away from each other. So what should I do? Use, three different Yantras for each enemy by following the procedure given in the post.